The Washington Wizards came back from a 12-point, fourth-quarter deficit and won on a game-deciding goaltending call to beat New York 101-100 in a stunning finish Thursday in London. Bradley Beal led the team with 26 points and pulled down nine rebounds. 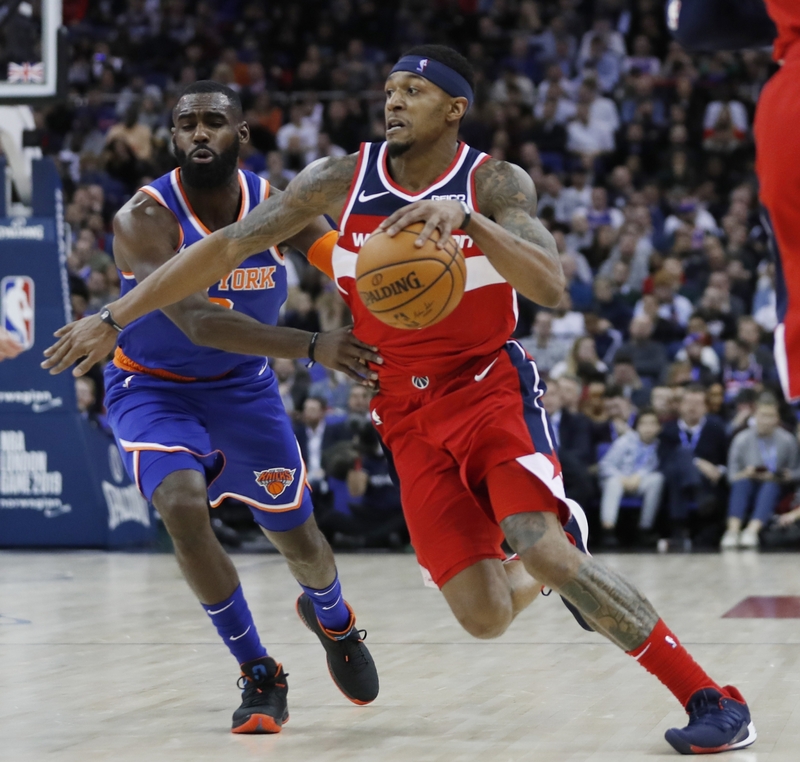 One thing you should know about the game: The goaltending call handed the Wizards their third-straight comeback win against the Knicks this season. On Nov. 4, they trailed the Knicks by 10 with four minutes left in the third quarter, before walking away with a 108-95 win. And on Dec. 3 against New York, the Wizards trailed by 10 at the half, but won by three. And on Sunday, they came back from a double-digit deficit heading into the fourth quarter to take Toronto to double overtime (the Raptors ultimately won). But none of those games have come close to the drama that the win in London had. The Wizards’ Thomas Bryant caught the ball in the lane and was heading to the basket for a layup when the goaltend occurred. After a lengthy review, the call was upheld and 0.3 seconds was put back on the clock. The Knicks missed a desperation heave as time expired. The Wizards host the Detroit Pistons at 2 p.m. Monday. Coverage begins at 1 p.m. on NBC Sports Washington and MyTeams.